Below you fill find all funeral homes and cemeteries in or near North East. North East is also known as: Erie County / North East borough. Their current mayor is Mayor Steve Gregory. Zip codes in the city: 16428. Some of the notable people born here have been: (clement o. miniger), (julius c. burrows), and (ish kabibble). It was disclosed on January 22nd, 2019 that Richard Thomas Marchetti died in North East, Pennsylvania. Marchetti was 75 years old. Send flowers to express your sympathy and honor Richard Thomas's life. It was disclosed by The Villages Daily Sun on June 26th, 2018 that Frank Benedict "Hutch" Hutchinson passed on in The Villages, Florida. Hutchinson was 87 years old and was born in North East, PA. Send flowers to share your condolences and honor Frank Benedict "Hutch"'s life. It was revealed by Star Beacon on June 27th, 2017 that Eleanor May Ingram (Crosby) perished in Kingsville, Ohio. Ms. Ingram was 90 years old and was born in North East, PA. Send flowers to express your sympathy and honor Eleanor May's life. It was revealed on January 3rd, 2017 that Marjorie Helen Pell (Steadman) perished in DeQueen, Arkansas. Ms. Pell was 97 years old and was born in North East, PA. Send flowers to express your sorrow and honor Marjorie Helen's life. It was revealed by The Herald on April 22nd, 2015 that Shirley Jean Piethe (Page) perished in Mill Creek, Washington. Ms. Piethe was 88 years old and was born in North East, PA. Send flowers to express your sympathy and honor Shirley Jean's life. It was revealed by Seattle Times (2000-present) on April 21st, 2015 that Shirley Jean Piethe (Page) perished in Mill Creek, Washington. Ms. Piethe was 88 years old and was born in North East, PA. Send flowers to express your sorrow and honor Shirley Jean's life. It was revealed on May 27th, 2014 that Ila F Burlingame (Friggle) passed away in North East, Pennsylvania. Ms. Burlingame was 92 years old. Send flowers to share your condolences and honor Ila F's life. It was disclosed on December 26th, 2013 that Reynolds Emory "Ray" Norris passed away in North East, Pennsylvania. Norris was 71 years old and was born in Conneaut, OH. Send flowers to share your condolences and honor Reynolds Emory "Ray"'s life. It was noted on September 25th, 2013 that Janet Lea "Jan" Lucas (Eberhard) died in North East, Pennsylvania. Ms. Lucas was 77 years old and was born in Columbus, OH. Send flowers to express your sympathy and honor Janet Lea "Jan"'s life. It was revealed on March 1st, 2013 that Robert O Newton passed on in North East, Pennsylvania. Newton was 95 years old. Send flowers to share your condolences and honor Robert O's life. It is part of the Erie, Pennsylvania Metropolitan Statistical Area. In 1900, 2,068 people called it home, and in 1910, 2,672 people resided here. 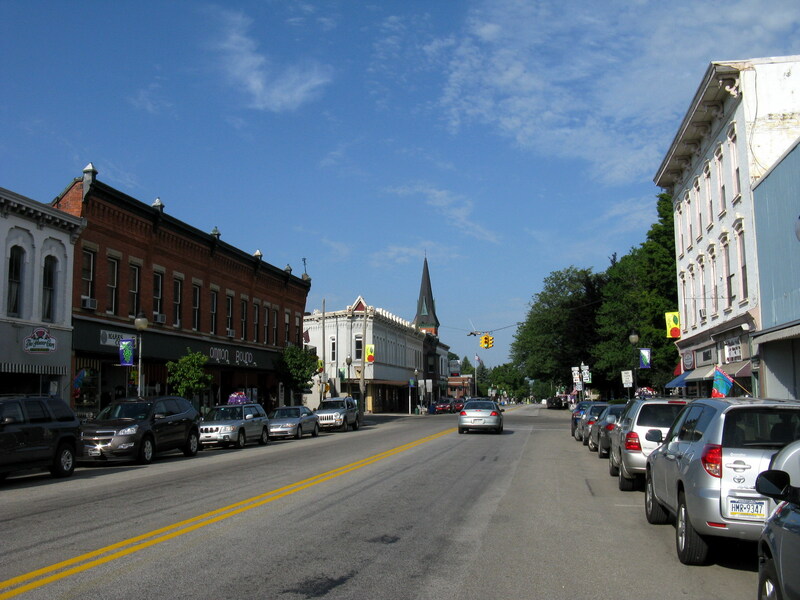 North East is a borough in Erie County, Pennsylvania County, Pennsylvania, 14 miles (23 km) northeast of Erie, Pennsylvania Fruit growing was an early economic endeavor, and is still to this day, as this is a popular area for especially cherries and grapes. The population was 4,601 at the 2000 census. It contains one college, Mercyhurst North East. The official website for the city of North East is http://www.northeastborough.com/. at the entrance to East Wildwood Cemetery at 10 ... if so desired, to North Central Sight Services, Inc., 2121 Reach Road, Williamsport, PA 17701. Charles M. Noll Funeral Home, 1 E. Central Ave., South Williamsport, is directing the arrangements. Ott Funeral Home, Inc., 111 North Reading Avenue ... 45 North Reading Avenue, Boyertown, PA 19512 or to the CurePSP, 30 East Padonia Road, Suite 201, Timonium, MD 21093. Online condolences may be made at www.lwottfuneralhome.com . Evelyn M.
Elkin, Bill D - William D Elkin Funeral Home, North East, PA : Reviews and maps - Yahoo! Local, 814.725.4511. Get Ratings, Reviews, Photos and more on Yahoo! Local. cemeteries in North East, PA on Yahoo! Local Get Ratings & Reviews on cemeteries with Photos, Maps, Driving Directions and more. We work with local florists and flower shops to offer same day delivery. You will find budget sympathy flowers in North East here. Our funeral flowers are cheap in price but not in value.